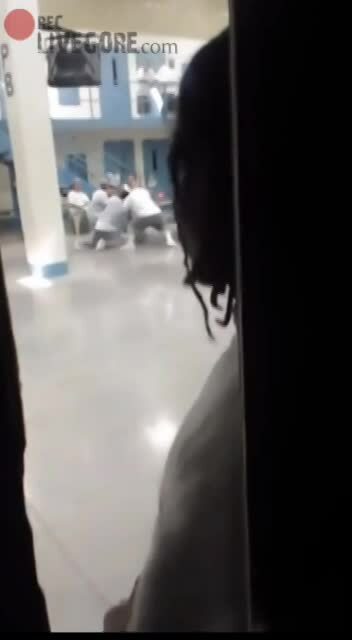 The incident was captured in a video by another inmate inside the prison. The video starts with the group of 3 Mexican prison gang members attacking their fellow inmate who they claim was a snitch inside the prison. During the attack, the helpless inmate was stabbed more than 20 times in the presence of other prisoners before the prison guard interfered. The Corrections officers shot tear gas and rubber bullets at the Mexican gangsters to stop the stabbing but the damage had been done already. It was reported that the inmate later died from his injuries.